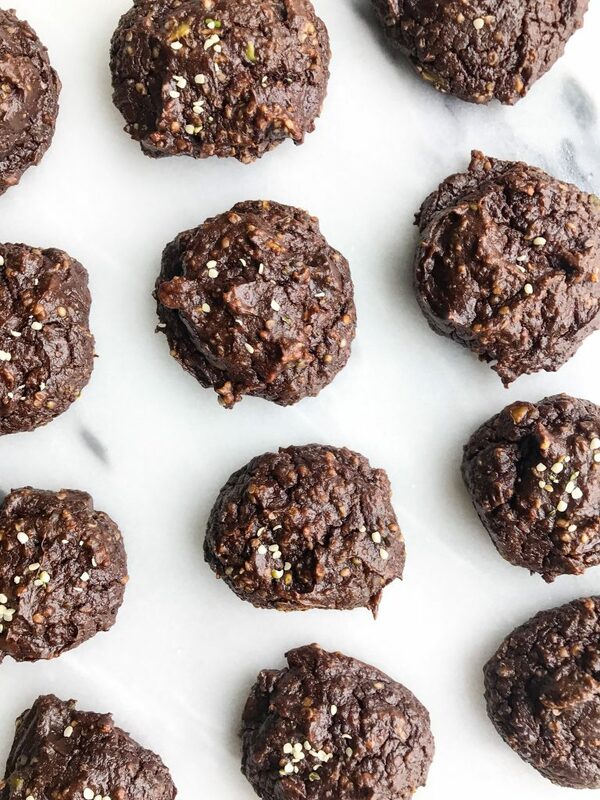 Fatty Dark Chocolate Avocado Fudge Cookies that are dairy & grain-free! Abnormally excited about these cookies right now. I debated whether or not to put avocado in the name here because I don’t want it to turn anyone away from making them. It 100% sounds soooo off to have avocado and cookies in the same title but trust me on this you guys. 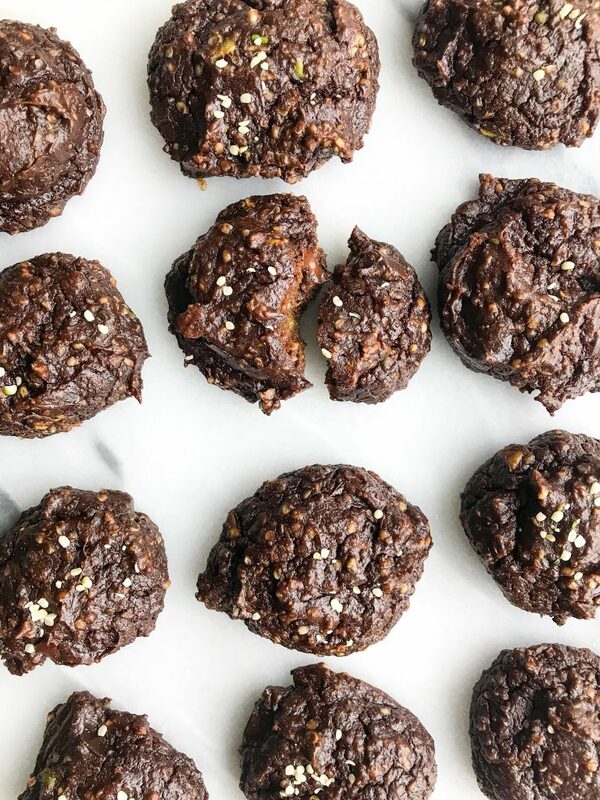 These Fatty Dark Chocolate Avocado Fudge Cookies surpassed any sort of expectation I had for making a dessert with avocado in it that isn’t my smoothie pudding or truffles. These cookies are SOOO fudgy and taste 100x more rich than they actually are. They are so simple and easy to make and they are filled with healthy fats and not much sugar so I’m not spiking my blood sugar levels like crazy. 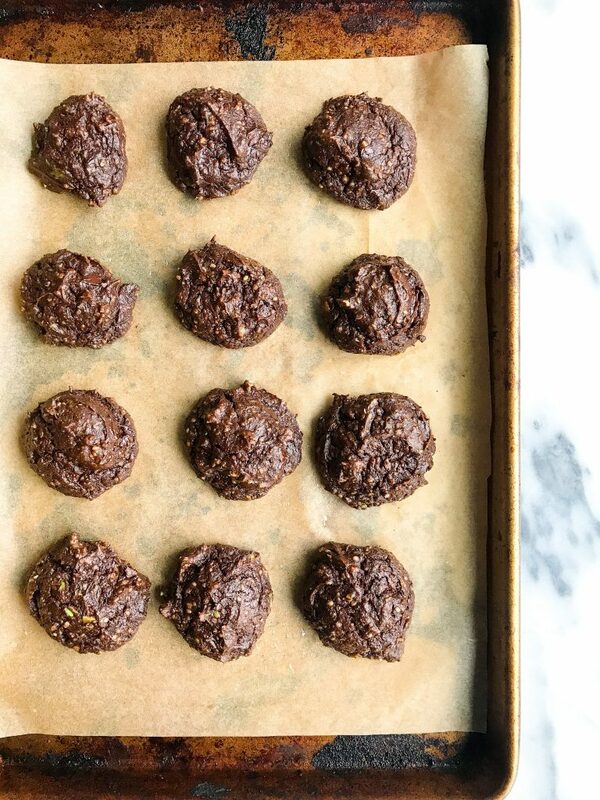 Plus these Fatty Dark Chocolate Avocado Fudge Cookies even have HEMP HEARTS in them! In case you are like “what the beep is a hemp heart?”, I gotchu covered. Hemp hearts are these magical little seeds that are filled with plant-based protein, omega 3 and omega 6 and they are ready to eat as is. I use Manitoba Harvest Hemp Hearts and they are the largest manufacturer to grow, make and sell their own line of hemp foods. They are so easy to sprinkle on salads, cereals, yogurt, smoothies, anything! Plus I am getting more protein compared to when I use flax or chia seeds. What I love about ManitobaHarvest is that they produce quality hemp products. They take a seed to shelf approach and control everything from what hemp seed gets planted, to how products are mandated, packaged, distributed, etc. They even sell a variety of different hemp-based products that I am so excited to share with you guys in recipes coming up. 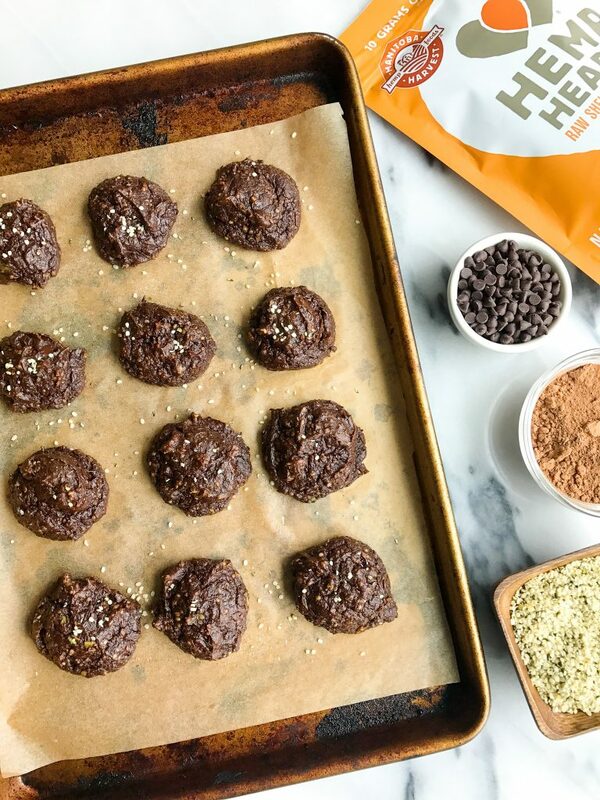 Today we are working with the original Hemp Hearts that they sell to make these Fatty Dark Chocolate Avocado Fudge Cookies! Love the healthy fats from the hemp and avo and all the protein in these- they look SO fudgy 🙂 Pinning! These look so good! I love that they barely have any flour – that makes it much more appealing to me because almond flour is so expensive! Thank you for the awesome recipe; you’re such an inspiration! Can’t wait to try these! What brand of chocolate chips do you use? thank you! everything should be linked on my shop page! Can you sub or omit the hemp hearts? Avocado toast is great and all, but I think cookies may become my new favorite way to eat avocados 😉 . Love the melty chocolate chunks too! Can you freeze these? Or freeze the dough? since it’s avocado i’m not sure they will stay well but definitely let me know if you try! i haven’t tested but let me know if you do! These look amazing! Any suggestions for subbing the egg to make these vegan? Thank you for sharing! Really into these! Forgot to stir in the dark chocolate chunks, but they were still nice and chocolatey. I also added a sunbutter drizzle to the top and some sea salt. Thanks! !